Let us dive inside the old school gaming music goodness and electronic vintage atmosphere of ancient sounds coming from... What ? Oh yeah the release, right. 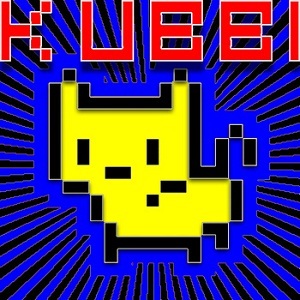 Remember Kubbi ? We talked a little bit about this guy a while ago with his release "Sleet". Well this one is in fact older, but a hundred percent as good. This is good 8-bit music just like you'd have imagined it if you didn't know what it was like just before. Rampaging dinosaurs, pixellated explosions, lasers and cubic kittens. I've listened to this one four times in a row and I'm still not tired of it. Believe me, that is something.